A prominent white guy has made a strong statement in favor of getting rid of black conferences and congregations in the Seventh-day Adventist Church. In a sermon broadcast around the world, the white guy said, "It is time to do the loving thing and unify the church by getting rid of the exclusively black organizational structures. They're a blight on our Gospel Witness." Many people who often express their opinions in CAPS LOCK on Facebook hailed the passionate appeal. "Segregation has been outlawed in the United States for a long time, so I'm not even sure black conferences are legal any more," said one white lady with a little bit of a tan. When asked whether he had consulted with African-American individuals before delivering his powerful sermon, the white guy responded, "Well no, but several of my best parishioners are black." 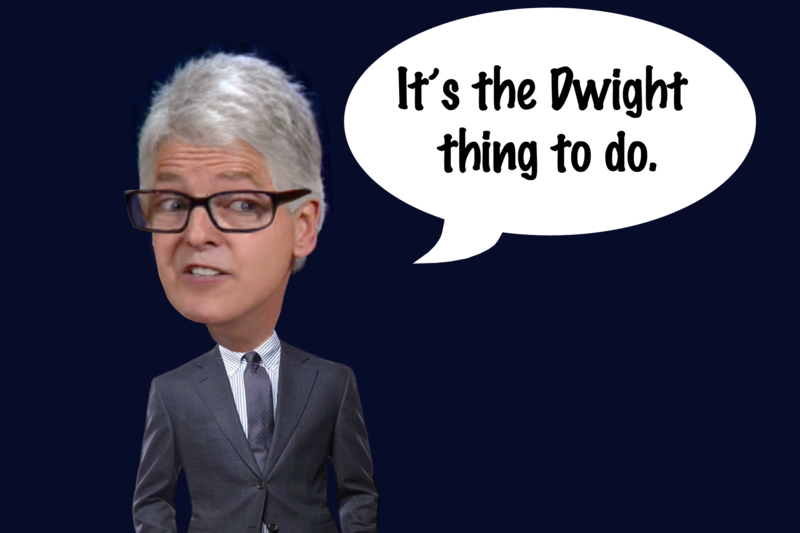 "I'm convicted that this is the Dwight thing to do," said the guy. In a separate issue, a conflict arose when several white guys sharply disagreed over what should be done with women pastors. Two prominent white men spoke out passionately against allowing women to teach men things. "The plain reading of the Bible indicates that women authority figures are acting unbiblically," said one man. To emphasize the point, he read a statement from a woman authority figure in a book called "Testimonies, Volume One," compiled by several men. The other man agreed. "Show me a place in the Bible where women are allowed to do things in public," he said. "It's simply not there." But discord ensued when the white guy from before disagreed. "There is no place in Scripture that doesn't not allow women to be shepherds of flocks. For instance, when the shepherds came to worship the baby Jesus, nowhere does it say that women were not among them. Scripture is very clear in not disallowing it." The Church became deeply divided when it became obvious that prominent white males could not agree amongst themselves, prompting another man, also white, to say, "There is no 'Thus saith the Lord' on this issue, and so we're going to let people vote on what they think Scripture does or doesn't say." One thing that all could agree on is that it is a great time to be a prominent white male. The Adventist Caricaturist blogs at the Caricatures of Adventists website, where this story originally appeared.